The DPA d:fine™ 4288 dual-ear directional headset mic combines the much-loved sound and quality of the 4088 directional capsule with the modularity and durability of the d:fine headband. The boom, earhooks and cable are all detachable, making it easy to switch from the single to dual earhooks, different length booms and different capsules (omni / directional) all available in the d:fine™ Headset range. The d:fine 4288 is the ideal choice for when off-axis noise is a challenge. The cardioid 4088 capsule is optimised for natural, open vocal reproduction and performs excellently in demanding conditions, with a maximum sound pressure level of 144dB before any clipping occurs. The d:fine headset is highly adaptable and allows for the boom to be mounted on either side of the head, by simply rotating it 180º on the headband. The d:fine 88 mic boom is available in two boom lengths, 100mm or 120mm. 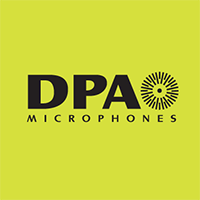 The DPA d:fine 4288 dual-ear Directional Headset Microphone is available in Black, Brown and Beige finishes. Be the first to review “DPA d:fine™ 4288 Headset Mic, Dual Ear” Click here to cancel reply.